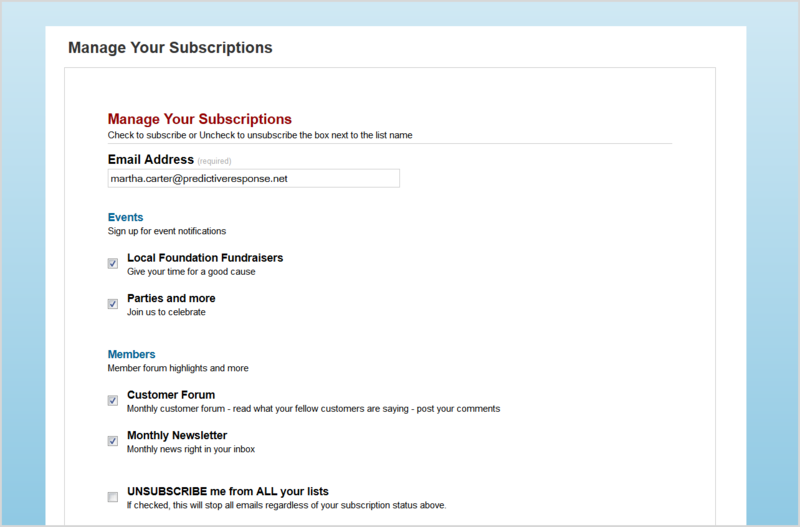 Predictive Help Center » How does a subscription page work? 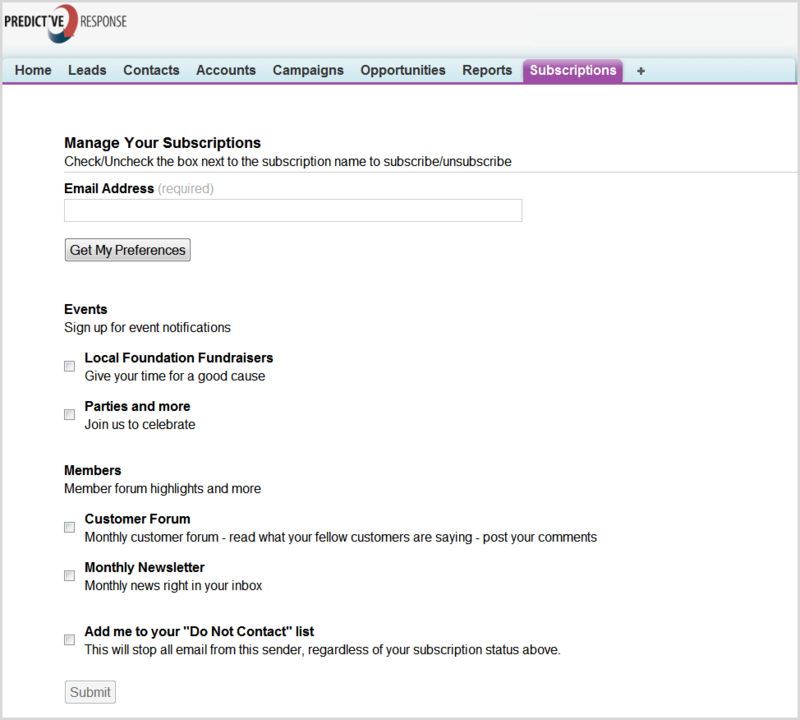 A subscription page allows your campaign members to select the emails they receive from your organization. When they receive an campaign email, instead of an unsubscribe link, they see a subscription page link – you decide what that link should be. Create the subscription page – this page resides on your site and will display your web page template banner, side bars, etc. Campaign member receives email and clicks the subscription link. Their current selections display.